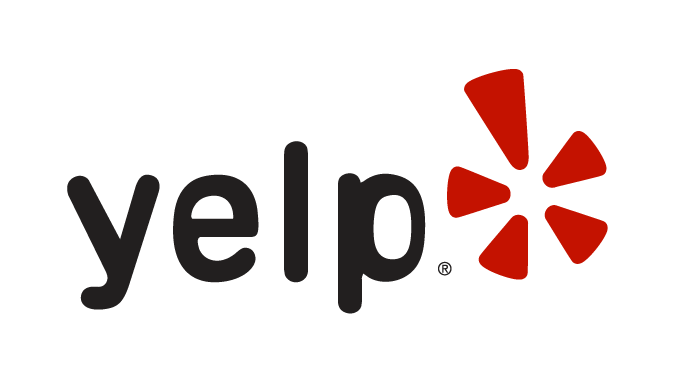 This place is a total hidden gem! I'm half Taiwanese, so I'm always looking for places to get my Taiwanese food fix! Taiwanese Food is a stall in the Parker Place food court. It's really easy to miss since it's a relatively small stall in the corner of the food court, adjacent to Pine House Bakery. The lady at the counter was actually really friendly, which surprised me, being that it was a food court haha. She spoke Cantonese, so I'm not sure if this invalidates this joint as not being run by real Taiwanese people, but the food was delicious regardless! 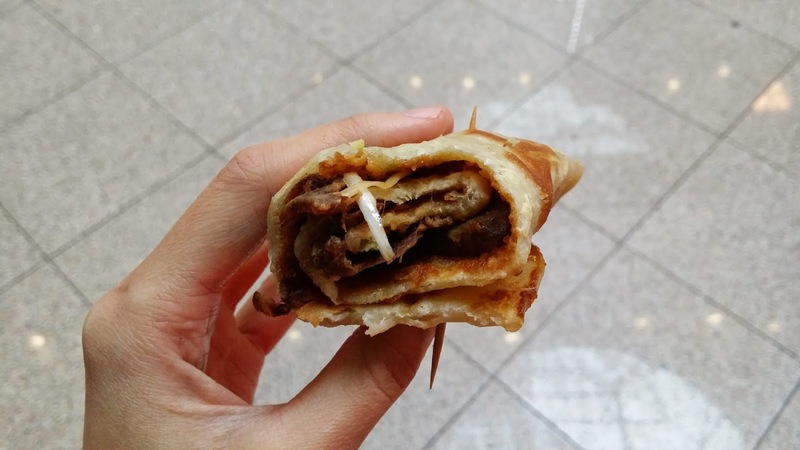 If you haven't tried Taiwanese Beef Wraps, you're missing out! I was pretty impressed by the generous portion size, given that this was only about $4. I thought it would be snack-sized, but this could definitely be a meal on it's own! The meat itself was very moist. The sauce was sweet and very savoury. 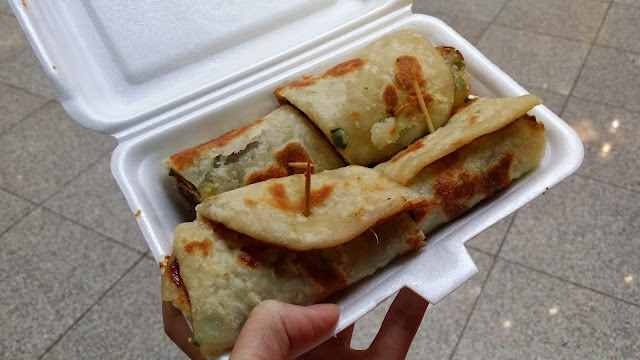 The pancake wrap wasn't soft as I would have liked, but was very flavourful from the green onion. It was incredibly delicious and I'm definitely going to order this again! Mince (I almost wrote mice meat haha) Meat on rice is pretty much synonymous with Taiwanese cuisine! Usually this is the cheapest rice dish you can get at a Taiwanese night market. Just because it's light on your pocket doesn't mean it isn't good! In fact, it's delicious! This simple dish never fails to satisfy my rice and meat cravings. 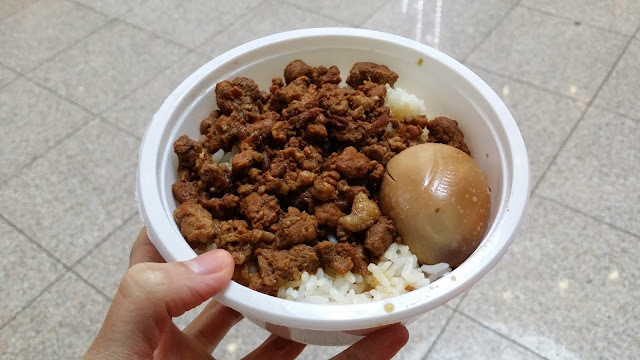 I was impressed by the generous chunks of meat, however the meat was a bit on the dry side. I usually prefer my minced meat with more sauce. The rice was standard short grain rice. The soy sauced egg was surprisingly great since the soy sauce had fully penetrated into the egg. 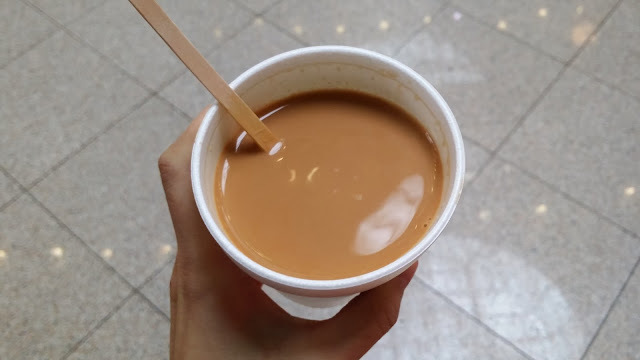 The milk tea cost 50 cents with my meal. You also have the option to get iced milk tea, which costs $1. Not much to say about this haha. Just your standard cup of food court milk tea! Will I be back? Yes! For their delicious beef wraps mmm!